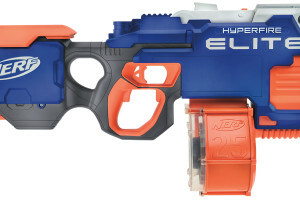 Toy Fair is around the corner, but Nerf already has something new for it’s fans! 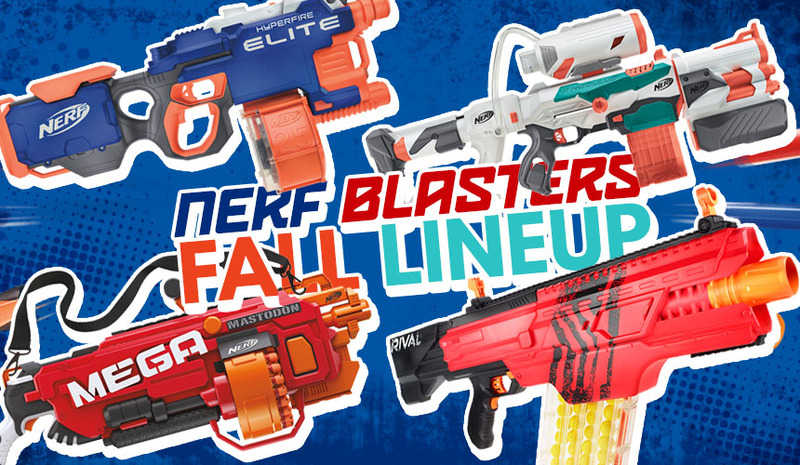 Leading up to Toy Fair, Nerf goes ahead and announces their new blasters for the year. 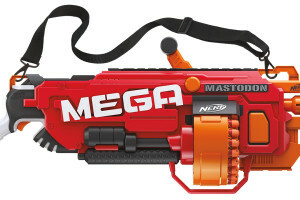 This year we have 4 new ones of the Rival, Mega, and N-Strike styles. These large blasters will be sold starting Fall 2016, so keep an eye out at your local stores. 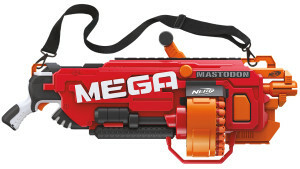 Hasbro has given Gizmodo Toyland all the info on their upcoming blasters. Go over and check them out for full detail, and let us know what you think! This entry was posted in Dart Blasters, News/Updates and tagged 2016, blaster, fall lineup, nerf, toy fair on January 22, 2016 by PStevenson. 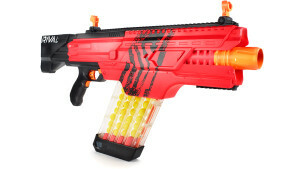 As a Rapidstrike lover, the Hyperfire is a good thing as RS’s are becoming hard to get here in Aus. Don’t care for the drum and don’t like the overly bulky front, but if it’s as moddable as the RS, none of that will matter. Just hoping it won’t be too expensive. I’ll almost certainly buy a HF. 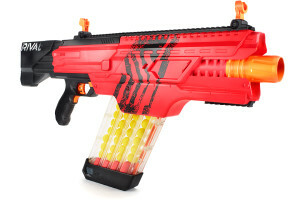 The Tri-Strike intrigues me, I like modular parts and I like attachable blasters. The price does hurt a fair bit though. I might buy the TS on sale, but it’s not a priority. I’m not liking the weird teal of the pump in the stock though, those might be dealbreakers pending sale prices. I’m not a Mega fan so the Mastodon is an easy pass for me, but I’ve got a friend who’s in love with it and will probably get one, regardless of price. As an Aussie, the Rival line as a whole is pretty irrelevant, so I don’t care for the Khaos at all. 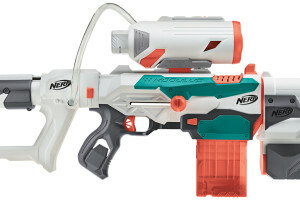 It does look like a good Rival blaster though, I just hope that stock extends.